Produced by Native Realities and co-edited by Elizabeth LaPensée & Weshoyot Alvitre, DEER WOMAN: AN ANTHOLOGY brings together more than a dozen Native and Indigenous women artists and illustrators to present stories of resistance, survival, empowerment and hope. Drawing from the inspiration of traditional Deer Woman stories, DEER WOMAN: AN ANTHOLOGY is a powerful collection of stories by Native women bringing determination and healing to those in need and those willing to listen with their hearts. 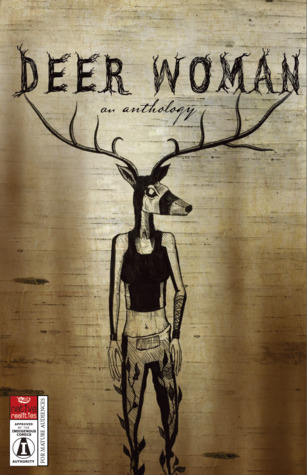 This is an anthology of comics that centre around the deer woman legend. Some stories are about the violence and assault Native American women can be victims of. An opening statement makes the claim, ‘One in three Native women are sexually assaulted in their lifetimes.’ I can’t find anything to corroborate that statistic, but after spending some time reading through reports etc on this subject, that number would not surprise me. Some of the artwork looked like it was from people that are still mastering their craft. And in a few instances, the story advocates violence against the abuser in an ‘eye for an eye’ kind of mindset. Remember folks, an eye for an eye leaves us with a world of blind people. Although some of these stories are not great, some are really good and the collection does a great job of raising awareness to a very important issue. One dollar ($1) from every sale of this comic goes to supporting the Arming Sisters, a Native women’s self defense group (learn more about the Arming Sisters HERE). Anyway, I’m off to make offerings to the gods of nature. Until next time, Peace and Love!